The government has prepared a draft bill to establish a financial investigation service. Prime Minister Arseniy Yatsenyuk has issued an instruction to disband the tax police, currently being part of the State Fiscal Service, and to fully demilitarize the service. He said this at a meeting on anticorruption investigations in Kiev, according to the Interfax-Ukraine news agency. "Our task, which I am publicly announcing now, is to liquidate the tax police. A draft bill on establishing a financial investigation service is ready," he said. 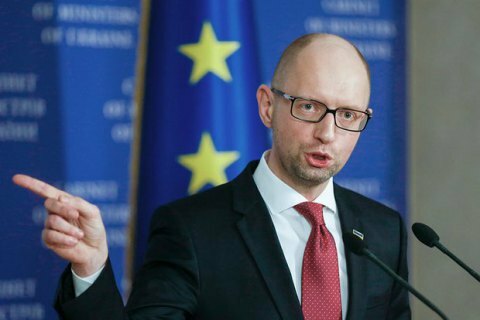 According to Yatsenyuk, the State Fiscal Service will only keep a small unit which will deal with collecting evidence while the entire service will be demilitarized. Detectives willing to work in a financial investigation service will have to stand a competition similar to the employment procedure used at the National Anticorruption Bureau.